Elliott produces flexible shafts as small as .040 inches in diameter, up to 1.625 inches in diameter. You can choose from over 2,500 different flexible shaft assemblies. The table below gives you all of the information you that you need to select the correct core size for your application. 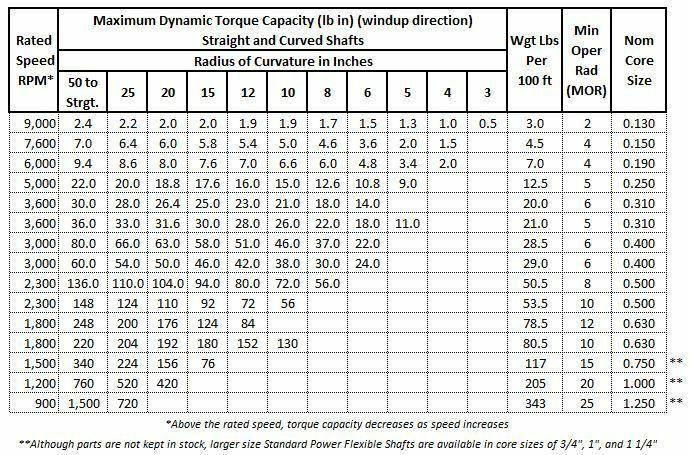 If your parameters meet the requirements shown in the table, contact our Elliott Engineering team and we will help you determine the solution that meets your flexible shaft needs.